Check out the video below to see a sneak peek of the October BabbaBox AND find out one of the ways that I am teaming up with BabbaCo in October! Click here to subscribe now (and don't forget to include the discount code)! This offer is only available until October 1st, so don't wait! If you're not familiar with BabbaCo and the BabbaBox, you can read my detailed product review here- BabbaBox: A Cool Learning Tool for Kids! You are NOT going to want to miss out on getting the October Babbabox... so subscribe now and a totally awesome BabbaBox will show up at your house in just a few weeks! I am SO EXCITED for our box to arrive so that my kids can start exploring and creating! Have you ordered your October box yet? Stay tuned for another fun announcement in our Toddler Approved October Newsletter! Not signed up yet? Click here to sign up to get our monthly newsletter filled with more ways to create, discover, and learn with your child! Disclosure: I have teamed up with BabbaCo for monthly sponsored posts along with a few other partnerships. 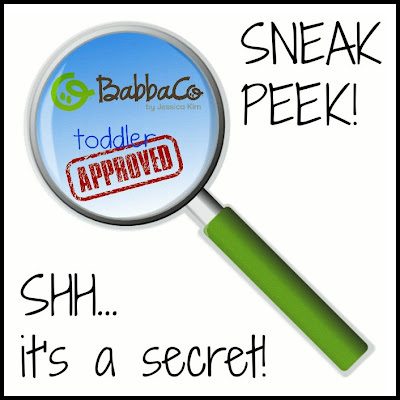 I have not been compensated for this post but am sharing this sneak peek with you because I am SO THRILLED to be teaming up with BabbaCo in October. All posts reflect my personal opinion and endorsement and are not swayed by compensation and/or free products. Please note that this post reflects my opinion and preferences and you might not share that same opinion. We love Babba Co. I'm excited to read our book from Amazing Artists' box this month. And see what my li'l one makes with her art goodies.